I was diagnosed with Thyroid Cancer in March 2005. Before this I was a healthy 30 year old I even had a routine physical and nothing seemed out of the ordinary. It’s funny how things work. I was in a small fender bender in late February 2005 and I went to see a chiropractor to check out my sore neck . . . when he was adjusting my neck he felt a lump and he asked how long I had this and I had no. I sat in the room thin idea I even had a lump. The next couple of weeks I as in a haze going through the motions but not actually there. I had met with so many doctors and had sonograms and a biopsy and finally surgery not once but twice since the first time they thought it was not cancer. I can’t explain the feeling I got when my doctor said it was Thyroid Cancer! I don’t think I heard anything else he said after that I just remember crying and saying to myself I might die! I don’t think it really hit me until I was sitting across from my radiation oncologist saying wow I have an oncologist. I think the next part of this was the hardest I need to take a small pill and sit in a room for a couple of days away from my husband and baby. I sat in the room thinking I can feel sorry for myself or I can fight . . . I choose to fight. I was fortunate enough to have great friends and family to see the good in all this bad. Today five years later I still wonder why this happened to me and how. I always thought it had to do with something environmental but I could never corner on what it was. After reading Joe’s article I feel like I have an answer on what has plagued me for five years. I hope that further research and studies can possibly wipe out a disease that no one should have. My name is Nancy Briggs, age 45, from Tuxedo, NY. I was born in the Bronx and at the age of 5 my family moved to the suburbs to a town called Sloatsburg, in Rockland County. When I saw the story on Eyewitness News about the increased rates of thyroid cancer in the surrounding counties around Indian Point, I couldn’t believe it. I’ve been suspecting this for years. My wonderful surgeon felt we should go ahead and go into surgery anyway. Thank goodness. Six years ago I was diagnosed with stage 1 Papillary Carcinoma, Thyroid Cancer in all of the nodules. I had a complete thyroidectomy and followed up with radioactive iodine treatment. It’s been a struggle getting my levels regulated, but I guess I’m grateful to have a curable cancer. I have always suspected it came from Indian Point. There are so many people I know in the Rockland area with thyroid cancer – it’s alarming. Unfortunately these areas suffer from all types of cancer, I consider myself one of the lucky ones. When I was diagnosed, they asked me if I ever was exposed to radiation. Of course I had the average dental x-rays etc. but I had to attend a field trip to Indian Point plant when I was in High School around 1981 or 1982. I’ve often wondered if I was exposed to something either that day or on a regular basis in our neighborhood? Personally, my wish is to close Indian Point. During the news conference a representative from there said that Joe Mangano was blowing things out of proportion. Tell that to the large number of friends I have that have also been diagnosed. They say that Thyroid Cancer is curable so it’s not a big deal. You try going through the surgery, radioactive iodine treatment, and the general fear of this diagnosis and then tell me it’s no big deal. Let’s not have the statistics for Rockland, Orange, Putnam, and Westchester keep rising. I just had another dear friend have her thyroid removed last week. She grew up in Stony Point. Another victim. At least let’s bring awareness to people in the area that if they are experiencing symptoms they should consult a doctor. Physicians in these counties need to be diligent in checking thyroid levels etc. Most people do not know they even have it. For years, I have used several of your articles and one of your books in my classes, and I cite you (tons of times) in my new book Nuclear Power and Climate Change which Oxford will soon publish – in 2010 or 2011. You have done magnificent work, and citizens everywhere are in your debt. Kristin Shrader-Frechette PhD, Professor of Philosophy and Concurrent Professor of Biological Sciences, Notre Dame University. Over the past several years, my commitments to various causes and charities has certainly ebbed and flowed. However, there is one cause that I will always be most proud of my affiliation with, and that I try to lend my support to whenever possible, and that is the work of the Radiation and Public Health Project; particularly, The Tooth Fairy Project. Since I first became acquainted with Joe Mangano and everyone involved with RPHP, I have witnessed, first hand, the steady growth of their work in securing the all-important government funded needed to collect children’s teeth and to test those teeth for radiation levels. RPHP realizes that the government is largely responsible for those increased levels, and therefore it is right and it is necessary that the government pay for this work that we are certain will uncover the truth. . . that there is no safe level of exposure. Many groups, some long forgotten, have attempted to stop nuclear power. They have, in the past, taken it for granted that people understood why nuclear power must be eliminated for commercial use. RPHP has attempted to gather evidence. To present testing and facts that demonstrate our assertions, I encourage each and every one of you to give your financial support to RPHP to continue the cause of turning back nuclear power, and turning it back with facts. Increasingly, the people of the United States and the world are exposed to man-made radiation. Either by mistake or intention, that exposure is likely to increase. Often, we are told radiation releases pose no risk to health; these statements are usually not based on adequate evidence. We now know that radiation damage at a cell level is often long lasting and that normal cells can be damaged by contact with radiation exposed cells. We need this type of study. We must know if exposures to radioactive substances at low levels can produce disease, in this case, childhood cancers. This study, using tooth levels of strontium as the measure of exposure is imaginative and important. It can provide information that could change the way we think about permissible exposures to radioactive materials, about effective body monitoring and about actions needed to protect both children and adults against potentially dangerous exposures. The findings and conclusions of the Report are consistent with both the experiment al and epidemiological evidence identifying radioactive emissions as a major risk factor for cancer. Furthermore, such evidence has been substantiated by other scientists in the United States, besides Europe. Such evidence has been documented in the Cancer Prevention Coalition’s February 2003 report “The Stop Cancer Before It Starts Campaign: How to Win the Losing War Against Cancer,” this has been endorsed by over 100 scientific experts on cancer prevention and public policy, and representatives of consumer, environmental, labor, and citizen activist groups (www.preventcancer.com). The latest Baby Teeth Study Report provides strong evidence that “exposure to radioactive releases from nuclear reactors is a significant factor in increasing childhood cancer rates and other adverse health effects in southeast Florida.” In addition, the Report uniquely demonstrates that radioactivity levels are significantly higher in the teeth of children with cancer than in the teeth of healthy control children. 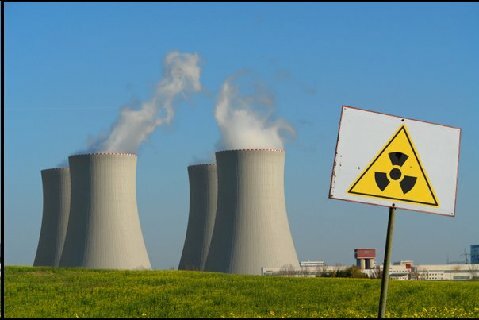 Given prior evidence of the relationship between childhood cancer and radioactive emisssions from 103 aging nuclear power plants in the U.S., and the well-established biological risks of radioactive Strontium-90, it is now critical to recognize that radioactive emissions from commercial nuclear power plants pose a grave threat to public health in south Florida, and throughout the nation. Please accept this endorsement of the Radiation and Public Health Project (RPHP) research group. I have known several of the principal RPHP staff members for several years, and have followed their research exploring the health consequences of radiation exposure from nuclear reactors and weapons. I believe these toxic radiological chemicals to be one of the contributing factors to high rates of cancer and other immune-related diseases currently plaguing our society. Since government agencies are typically unwilling to associate these man-made poisons with disease, the research of groups like RPHP is most crucial. I have placed some of RPHP’s work of my web site. I also included several of them in my recent video documentary “Fatal Fallout.” They have appeared on my radio program several times. I highly recommend you support the vital work of RPHP. I wholeheartedly endorse the work of the Radiation and Public Health Project. I have lived under the toxic cloud and horror of nuclear testing, weapons, and nuclear power since I was born in 1945. I have been a peace activist for 40 years, condemning all use of nuclear weapons and power this whole time. I have been active in trying to occupy nuclear power plants since their beginning. I come at it as a scientist and physician for 35 years, and well aware of the research in low level radiation (I have Dr. Gofman’s seminal text on it for example) and the horrors of nuclear weapons (I have corresponded with Dr. Helen Caldicott for decades and am a close friend and supporter – her new book is a must for humanity’s survival). We clearly have political leaders indifferent to and ignorant of the consequences. In fact they fully support their promotion and threaten their use. We are in grave danger. For twenty years I’ve gone yearly to the hospitals of Russia and have seen first hand the horrors of Chernobyl. The NRC, Department of Energy, and NCI are puppets of the powers who foster nuclear power and weapons and have a well documented history of lying and hiding information from our citizens. We are their experiments – as a recent book published about experiments done on the disadvantaged in Cincinnati decades ago horrifically record (also suppressed info). We are fortunate to have people like RPHP who are trying to educate our population about the truth about radiation’s effects on our body. Their research must be supported and distributed so that we can collectively end this arrogant stupidity in the name of greed. Please, not only support, but also be a mouthpiece for this research. Our future depends on it. Become active. If the levels of Strontium-90 in children’s teeth and the variations in level by geographic area reported in this study are validated by appropriate repetition, these findings would appear to justify intensive follow-up and continuing large-scale surveillance. Given the biological risk associated with body burdens of even small amounts of long-lived radioactive Strontium-90, it would be prudent to regard these findings as suggestive of a potential threat to human health.